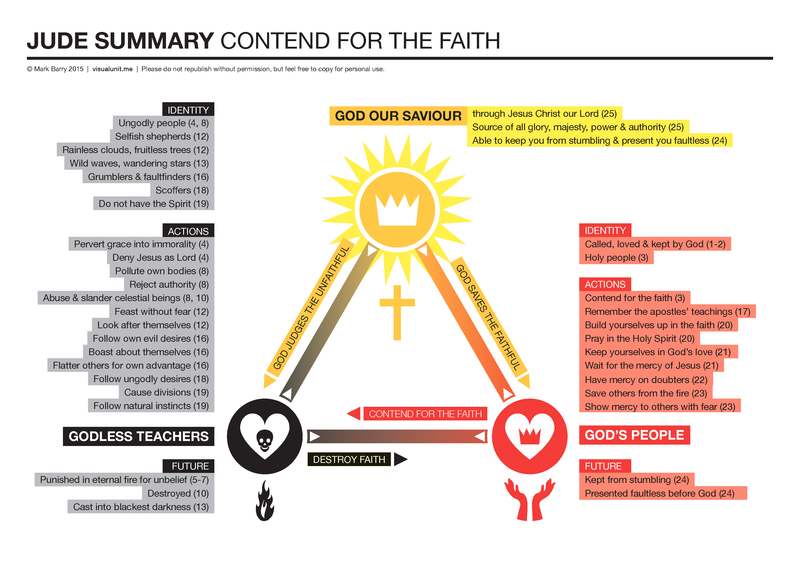 Check out this graphic showing how the theme of resurrection was at the heart of the book of Acts and the Apostles’ preaching. 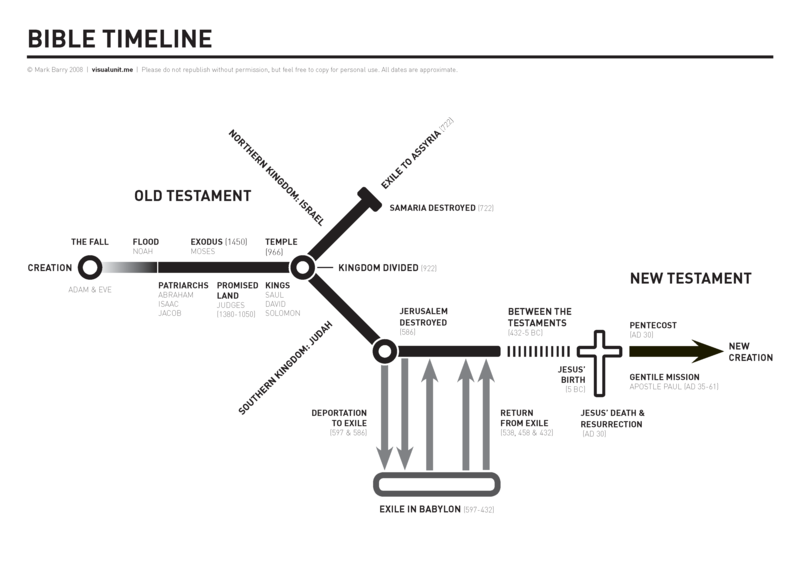 Check out this Bible timeline in the style of Graeme Goldsworthy’s classic ‘coat-hanger’ timeline. See the full size image. 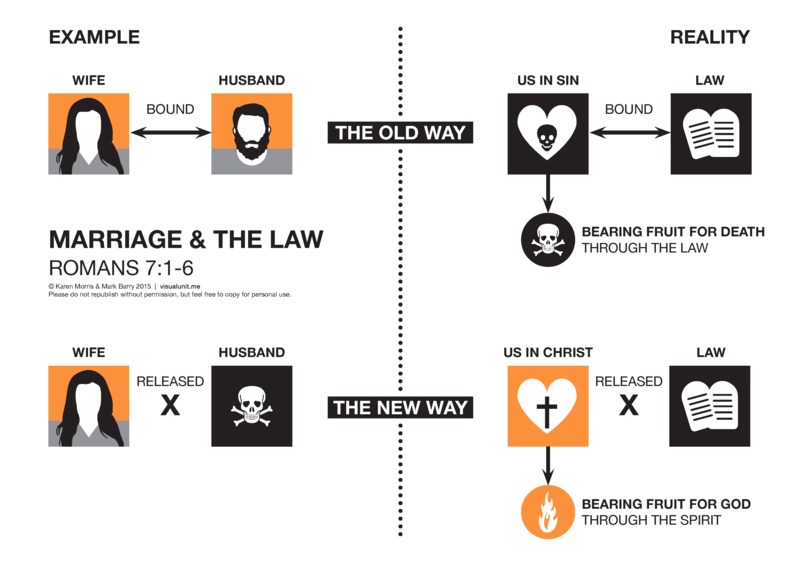 This infographic visualizes what Paul means when he talks about the marriage and the law in Romans 7:1-6. Where were the Jews from on the day of Pentacost? 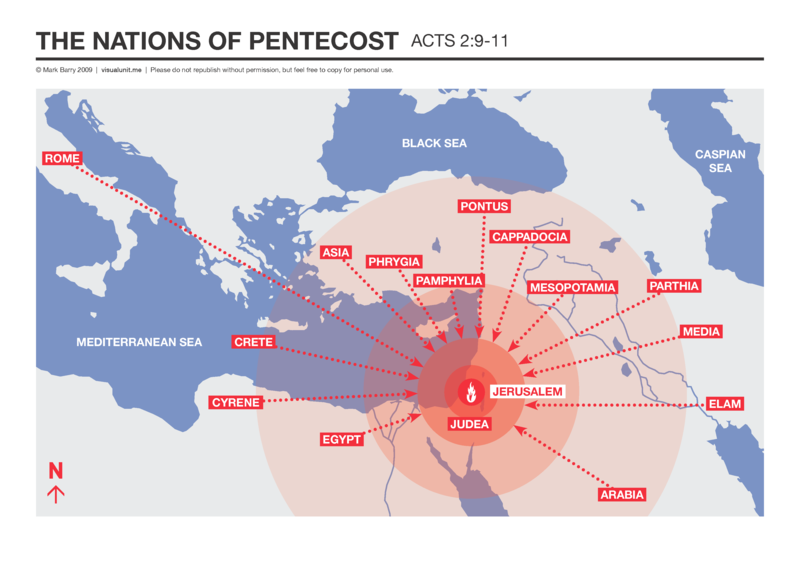 Check out this infographic that shows the different nations that were there at Pentacost. How reliable are our New Testament manuscripts? This graphic shows us that we can trust the New Testament because, compared to other ancient texts, we have more copies of its manuscript. 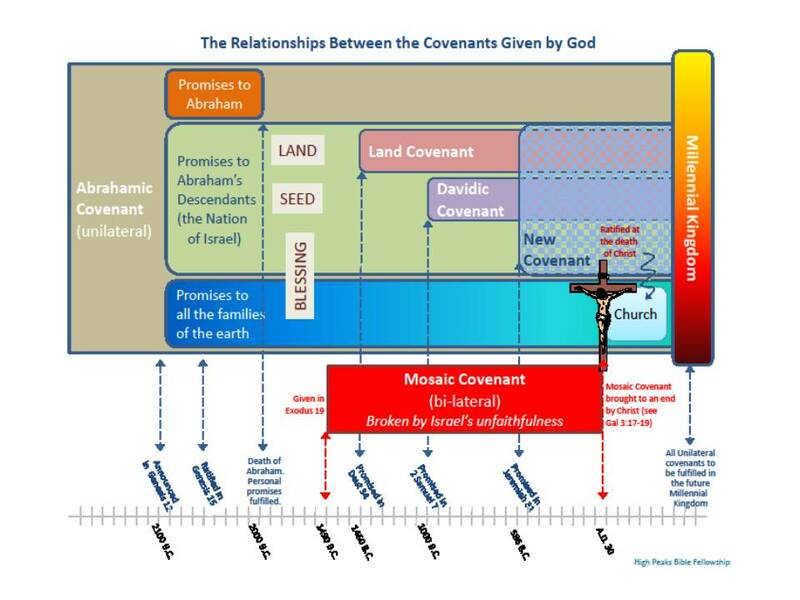 This graphic shows the different covenants found in the Bible, their relationship with each other and what they promised. A recent study shows that all of us are hooked on all sorts of activities. What’s the big idea in Ecclesiastes? Life is meaningless apart from God. Ever wonder how reliable our New Testaments are compared to older and original manuscripts? 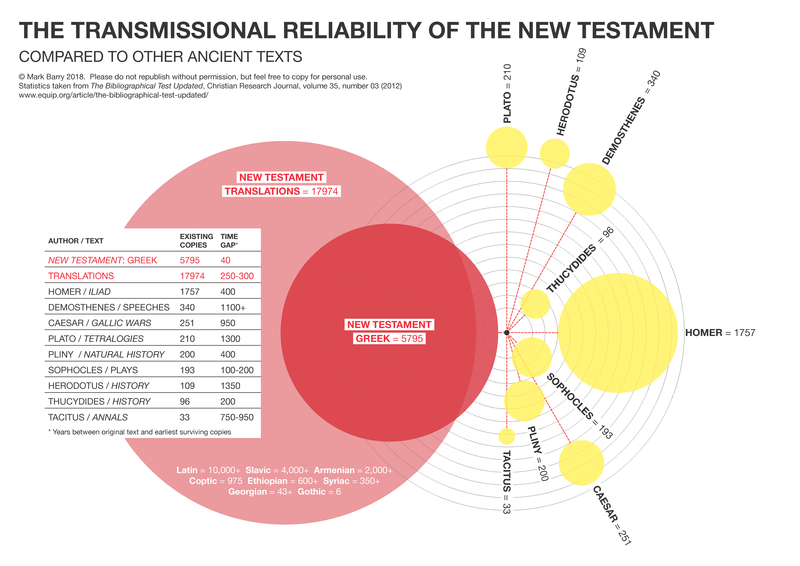 This infographic shows how reliable our New Testament copies are today.